Do you like incredible deals? 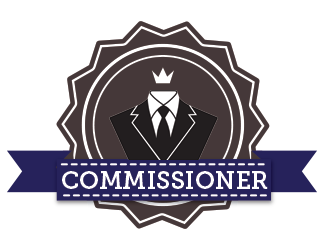 Yeah, so do we - that's why we are announcing our new Commissioner Tuxedo Rental Package. It costs just $59! What's included with a $59 Rental Tuxedo? That's all included, for just $59! Best of all it's incredibly easy to order, just use our rental tuxedo builder. So, it's the best tuxedo rental deal ever? It's definitely the biggest value we've seen in the business. If you know of any better deals, please let us know about them. Otherwise, yeah, this killer price really is the best deal you'll find on a rental tuxedo. Why is the price so low? This is our answer for the customers who have been asking 'what is the lowest price I can pay to rent a tuxedo?' The Commissioner tuxes are on par with what you would find on the low-end at another tuxedo rental chain. Except, ours are only $59, instead of $159. We find that about half of our customers like to wear their own shoes, and so we don't include them in our tuxedo packages by default. This keeps prices low for those who don't want shoes, and for those who do want them: you can add any tuxedo shoe to your package for just $15. Will these tuxedos work for a wedding? We offer higher quality tuxes that would truly improve the way you feel on your special day (they are softer, lighter) - however: if the tuxedo is not as an important of a consideration for your wedding, or you just need something these will be fine. They are tuxedos. This article was posted on Aug 14, 2014 .